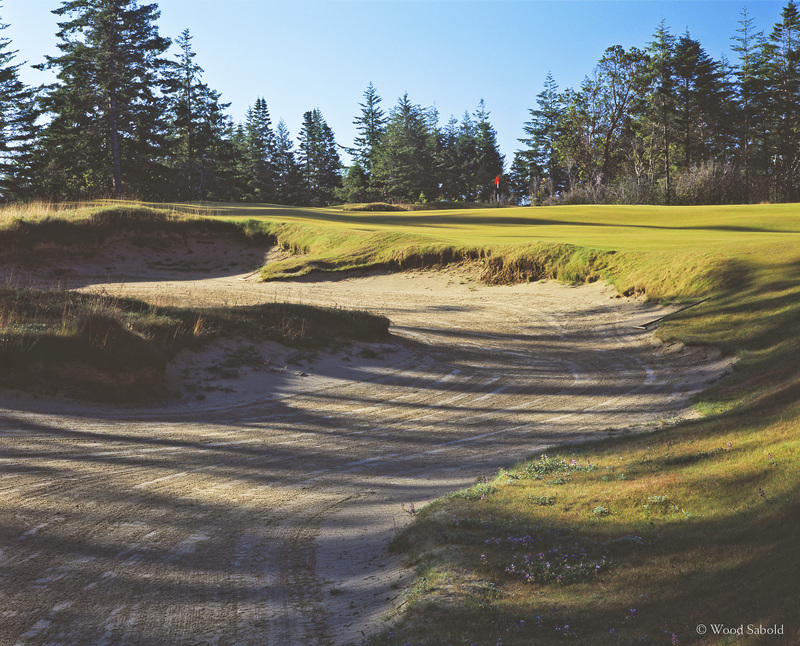 Close-up view of a large bunker that is to be avoided on approach shots to this uphill par 4, 7th hole of the Bandon Trails Course of the Bandon Dunes Golf Resort, Bandon, Oregon. There are also bunkers and waste areas to be avoided on the right side for tee shots. The fairway appears wide open but is amazing how many tee shots end in the left rough or right bunkers. Bandon Trails is the third course of the acclaimed Bandon Dunes Golf Resort. The course opened in 2005. Architect, Bill Coore and Ben Crenshaw.